Happy 1st day of Fall!!!! I think most of us can say that we're pretty basic when it comes to everything Fall. PSL and Pumpkin everything, lol. My house is decked out in Fall decor and I have no shame. When October 1st rolls around, it's a pumpkin patch and hot chocolate galore every weekend. I choose this outfit for my first official fall outfit because of the black and dark orange hues. Black is such a classic color and great for the base of your outfit. 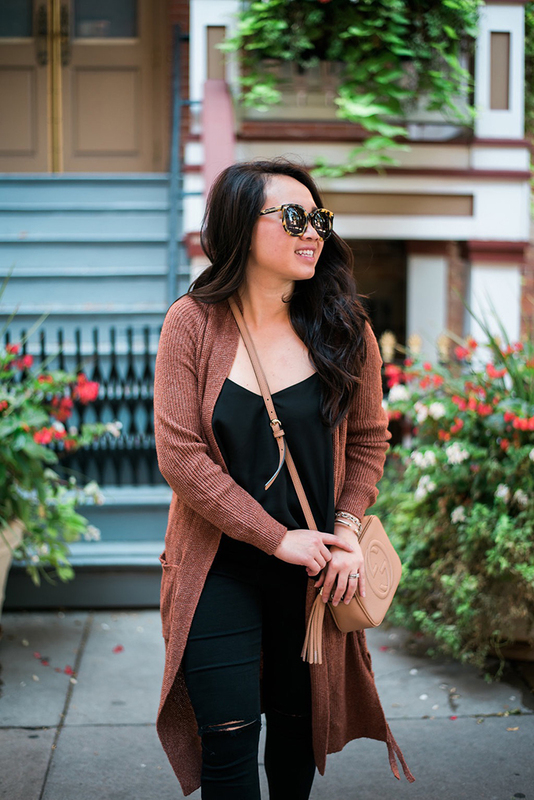 The braided detail on this cardigan gives it the perfect touch. This outfit is fall date night approved.